Lodge History – Sutherland Lodge No. 174 F.&A.M. Sutherland Lodge No. 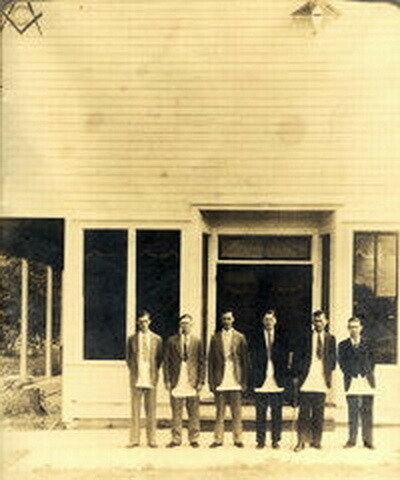 174 was chartered on January 21, 1909 with twenty members. Those members came from Florida lodges: Bronson No. 7, Hillsborough No. 25, Barrett No. 43, Star No. 78, Plant City No. 79, DeSoto No. 105, Tarpon No. 112 and Citrus No. 118, and Georgia Lodge Zerubbabel No. 15. Four of the charter members had received their degrees in Sutherland Lodge while under dispensation (UD). 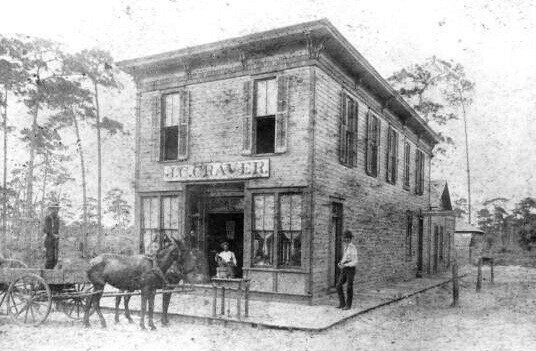 The lodge met over J.C. Craver’s store located at 1123 Florida Avenue, Palm Harbor, Florida 34683 from 1933 until 2018. J. C. Craver who was the first Worshipful Master of Sutherland Lodge, having come from Tarpon Lodge No. 112 to form Sutherland Lodge UD. When the lodge began to meet the building was not yet the lodge but J.C. Craver donated the building to the lodge around 1943. The lodge building was updated over the years but sadly is no more. 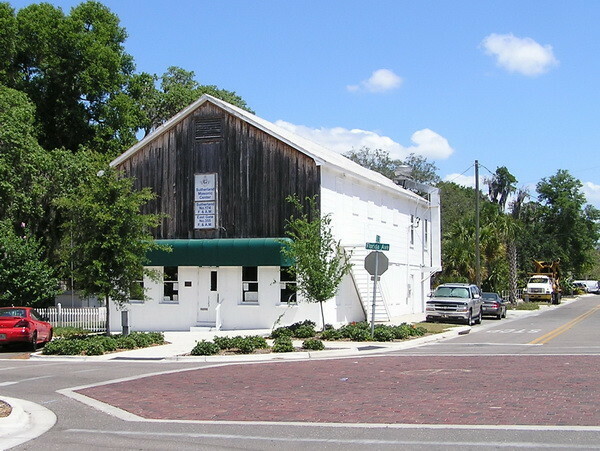 In February of 2018, the lodge building was sold and the lodge began to meet at Dunedin Masonic Lodge No. 192 located at 1297 Michigan Blvd. 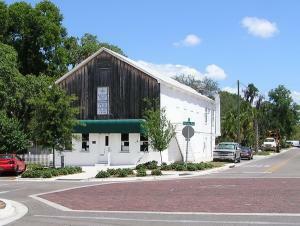 Dunedin, Florida for a monthly rent of $350. Sutherland Lodge No. 174 was chartered on January 21, 1909 to meet at Sutherland in Hillsborough County (now Pinellas County). The chartering Grand Lodge Officers were: Elmer Ellsworth Haskell – Grand Master, Louis C. Massey – Deputy Grand Master, Albert W. Gilchrist – Senior Grand Warden, George B. Glover – Junior Grand Warden, and Wilber P. Webster – Grand Secretary. The charter officers of Sutherland Lodge were: James C. Craver – Worshipful Master (from Tarpon No. 112), D. A. Hendrix – Senior Warden (from DeSoto No. 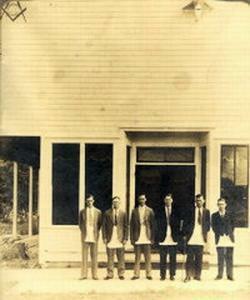 105), and Carter O. Jones – Junior Warden (from Bronson No. 7). The additional charter members were: Benjamin Burghstream (Tarpon No. 112), William R. Campbell (Tarpon No. 112), Henry M. Fulford (Barrett No. 43), Jesse C. Green (Zerubbabel No. 15 of Georgia), Walter P. Hartman (Citrus No. 118), Reddin B. Hill (Tarpon No. 112), E. W. McMullen (Star No. 78), A. M. Meeks (UD), Henry F. Penny (Tarpon No. 112), Craven Roberts (Sutherland UD), George H. Smith (Tarpon No. 112), W. B.Thompson (Sutherland UD), Julius E. Ulmer (Tarpon No. 112), William M. Ulmer (Tarpon No. 112), Isaac A. Vernon (Plant City No. 79), Charles F. Wall (Hillsborough No. 25), and William D. Wood (Sutherland UD). While the lodge shares the Dunedin Lodge building we still meet as Sutherland Lodge and is the only Florida lodge to use the number 174.